Commercial Carpet Cleaning | Keep your office carpets pristine. Our professional steam cleaning leaves no spot behind, ensuring a cleaner carpet than ever before. 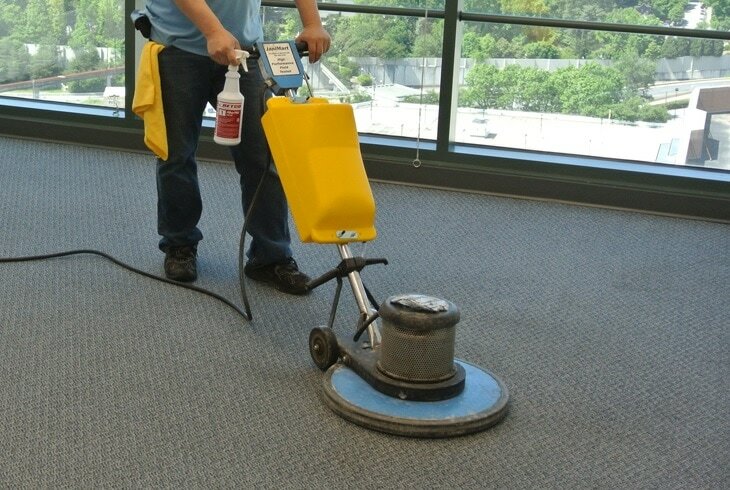 ​With cleaners that love nothing more than a good clean your commercial carpet is in the best hands rest assured. Using only the greatest cleaning techniques with the latest professional grade equipment and products, you can feel confident knowing your carpets will be reborn. Carpet Cleaning Perth have been specialising in carpet cleaning for a number of years. It is safe to say that we know what we are doing and how it is best carried out for carpets that are clean and stay clean for longer. We master in all styles, shapes, colours and textures of carpets provide a deep superior clean to each and every one. If you need to ask any of our staff members any questions, wish to know more information about our services or about your beloved carpet. There are a number of advantages using our services over another. You can walk on your carpet straight away without having to wait hours for it to dry. We remove more stains than ever before, making your brights brighter and your lights lighter. In addition, we also remove any nasty germs that may be looming around for a healthy confident finish. Post Cleaners finish. There will be no residue, odours or stains left on your carpets or furniture that you will have to put up with. Everything will be as it was, but simply much, much cleaner and fresher. Super suction industrial grade vacuum cleaners raise the pile and prep your carpet for extraction of all the dirt and soils from the carpet. Stain removal pre-treatments are applied to those affected areas that require greater attention. Superior specialised cleaning solution removes the soiling from the fibres within the carpet. Hot water extraction dry steam cleaning technology extracts all the dirt, grime, stains and residue to leave your carpet with nothing but a complete clean. Post-application treatment can then be placed onto the surfaces in order to maintain the carpet, further protecting its beautiful condition. We will determine what the best course of action is, and whether or not there are other services required. As part of our standard service, we will deodorise the carpet. ​No lingering scenes, just a fresh smell that reminds you the carpet is clean. Finally, a steam cleaning is done on all carpeted areas. This completes a sweep to make sure no areas are missed, and everything is spotless. We service all kinds of materials, removing dirt, stains, allergens, and odours. Your family and pets will be safer and your home cleaner after you call us. Our carpet cleaning services are the best in the city, and we take pride in the quality of our work.